Complete wing of moated Kent Manor House, dating in part back to the 13th century, mentioned in the Domesday Book and formerly owned by Vita Sackville-West. 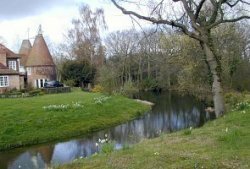 Peace and tranquillity in romantic waterside setting less than a mile from Sissinghurst Castle garden, totally unsuitable for small children! 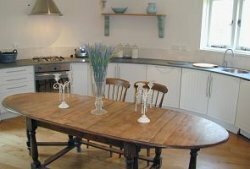 Recently completely renovated to a very high standard, the accommodation comprises one, two or three double bedrooms each with its own bathroom. 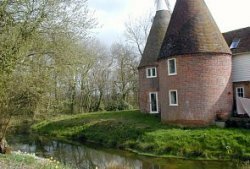 All the rooms were converted from a former Oast House complex and are circular, about 5.5m across. 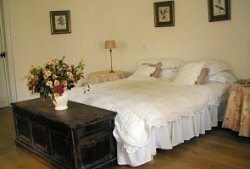 We are within 6 minutes walk of one of the finest pub/restaurants in the area. Small private garden and carp fishing available in the lake.